The newest Russian aircraft will arm with a “death ray.” Nowadays, laser systems in aviation are mainly a weapon of defense against homing missiles. But soon the laser in aviation will become the weapon of attack. The 6th generation MiG-41 fighter, which is expected to appear by 2035, is planned to integrate an anti-missile laser. This compact on-board device can destroy electronic homing heads of the enemy at a great distance. This may look like the MiG-41 – the aircraft, which will become the carrier for the latest laser weapons. Lasers on airplanes and helicopters have replaced heat traps as protective systems. They began to be used in combat aviation in the 60s of the last century, when portable anti-aircraft missile systems (MANPADS) appeared, firing missiles with infrared homing heads. The missiles reacted to the heat emitted by the aircraft engine, and hit the target precisely, which resulted in heavy combat losses. To combat them, experts suggested a solution: shooting “heat traps”. They are designed to deceive self-guided missiles, taking them away from the aircraft. This technique has been used very effectively for many years. But now a vivid picture of shooting fireworks from heat traps is only an attribute of decoration at an air show. Modern missiles have become much “smarter”, they can’t be fooled by the usual heat trap. They are able to distinguish a real goal from a false one. As a result, laser protection systems began to be applied on aircraft. In our country in 2009, for this purpose, a laser complex “President-S” was created. During his tests on the aircraft on which he was installed, firing was carried out from the world’s best Igla. All of his missiles flew past the target and self-destructed. Moreover, unlike the Western analogues in the Russian laser complex “President-S” a multispectral source of laser radiation is used, which recognizes the operating range of homing of all types of missiles known in the world. Today, all air vehicles designed to work in “hot spots” are equipped with such complexes of active laser protection against MANPADS. However, in recent years, our defense industry has been actively developing powerful laser systems that can not only protect aircraft, but also destroy self-guided warheads of enemy attacking missiles. Such laser weapons are planned to be installed on new combat aircraft of the 6th generation. The fact that a military laser complex is being built in Russia is officially announced by President Putin in his Address to the Federal Assembly on March 1, 2018. To illustrate his words, pictures of this weapon were even shown. True, it was not an aviation, but a ground-based complex, mounted on a car trailer. He hasn’t even had a name yet. Later, when the president invited the whole world to think and together give names to new types of weapons, this laser was given the name Peresvet. The complex was the result of the development of design developments that were conducted in Soviet times. Designers have long understood that laser weapons have a great advantage over other types of combat systems. First of all, because of its ability to unexpectedly and instantly (at the speed of light) attack the enemy. In addition, it does not require arsenals for storing ammunition, it does not need constant reloading in combat. Back in the 80s of the last century, military developers of a number of countries recognized that the carrier aircraft itself could become the most convenient type of base of laser complexes. And many countries have worked on the creation of such weapons. For example, in the United States, these developments have been conducted under the Strategic Defense Initiative (SDI) program since the late 1970s. The development of the anti-missile laser involved the company Boeing, Northrop Grumman and Lockheed Martin. Boeing made an aircraft platform for the laser, Northrop Grumman – the installation itself, and Lockheed Martin – a mobile turret and precision guidance systems. In 1985, the first ground tests of this system took place. Then the “death ray” heated up and blew up the stationary fuel tank at a distance of 1 km. This weapon consisted of infrared sensors for detecting targets, a lens system for focusing rays, and three lasers — two for “highlighting” targets and one for combat, with a power of 1 MW. The system was tested annually. However, its developers failed to reach the stated level of efficiency. By the end of 2011, the Pentagon closed this program, which spent $ 5 billion. In the USSR, similar work was carried out. And much more successfully. In the late 1980s, a 1 MW carbon dioxide laser was created at the Troitsk Institute for Innovation and Thermonuclear Research. He could work not only on enemy ground technology, but also on satellites and ballistic missiles. As an air carrier of this laser, the aircraft was developed under the symbol A-60 (A-60SE) based on the IL-76. By the beginning of the 90s, the defense industry was ready to begin the production of this new weapon, but then perestroika broke out. Following the collapse of the Soviet Union. The problems of the combat laser went far into the background, and the work on it was curtailed. According to experts, the US tried to buy this almost finished project, and it even nearly was not sold, but the state-owned Gazprom, which survived the chaos, financed the creation of a civilian version of the combat laser called the MLTK-50 mobile laser technology complex. In gas wells it was used during the liquidation of fires, to remove the oil film from the surface of the water. He cut ship steel with a thickness of up to 120 mm from a distance of 30 meters, could cut up an array of rocks in the quarries and much more. And finally, in 2012, the Defense Ministry resumed work on the creation of combat lasers capable of destroying ballistic missiles, airplanes and satellites. The tasks assigned to the developers had the widest range: intercepting high-speed air targets, disabling enemy observation devices, anti-missile and anti-satellite defense. At the same time, according to our experts, it was announced about the resumption of work on the aircraft carrier of laser weapons, known since Soviet times as A-60. 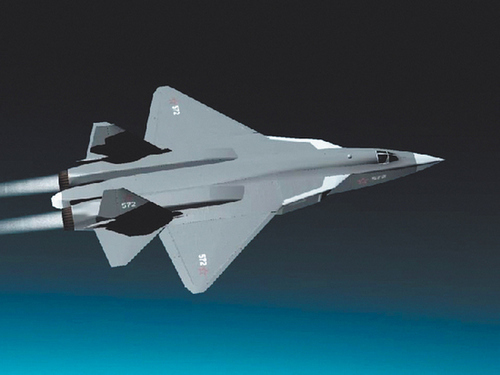 And also, according to experts, in the 6th generation fighter of the MiG-41, the release of which is planned for 2035, an anti-missile laser should be integrated. 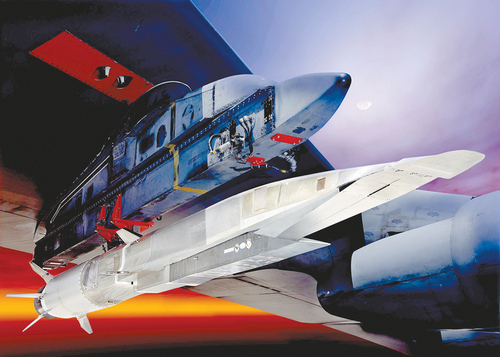 One of the potential targets for it should be the American Boeing X-51A hypersonic missiles, which are being developed in the United States as part of the concept of “Fast Global Impact”. These missiles should reach speeds of 7.5 thousand km / h. For comparison: the MiG-31, which is considered one of the fastest aircraft in the world, accelerates to 3 thousand km / h.
In 2009, the first tests of the X-51A rocket took place, during which she was able to overcome the speed of 5 Mach numbers (five times higher than the speed of sound). The B-52 bomber was used as its carrier. It was planned that this rocket will go into service in 2017. But in 2013, her tests did not confirm the stated characteristics. The X-51A was able to fly only 430 km in 6 minutes, reaching a maximum speed of 5.1 Mach. The next few tests also failed. Now the Pentagon says that the X-51A will go into service no earlier than 2020. According to experts, the Russian developers of laser weapons will cope with their task faster. The first combat lasers, according to the chief of the General Staff, have already entered the army. While in the terrestrial version. Modification in the version for the air carrier is also just around the corner.